Radio readings | VIPA CZ s.r.o. 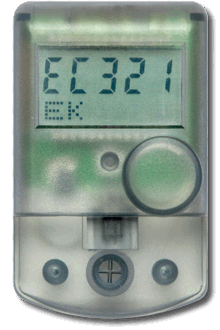 The portable radio readout provides significant comfort when performing annual or control readings of water meters and heating cost allocators. Readout can be done as needed and without the need for interaction with apartment users. Additionally, the ability to impersonate a human factor error when reading a device or transcribing data when processing it is eliminated. The RCom communication protocol has been specially developed for use in measuring instruments (mainly battery) for reading and controlling these devices. The RCom protocol allows you to use a routing method (sufficient transmission power, and the confirmed communication channel additionally increases the effective radio communications reach) with a fast enough response, thus greatly reducing the time required to read one device. The multi-sensor electronic indicator of heat costs. Radiomodul on water meter Sensus Residia.